Junior electrical engineering major Clay Gerds is attacking the rim on the offense. He scored 16 points during the game. 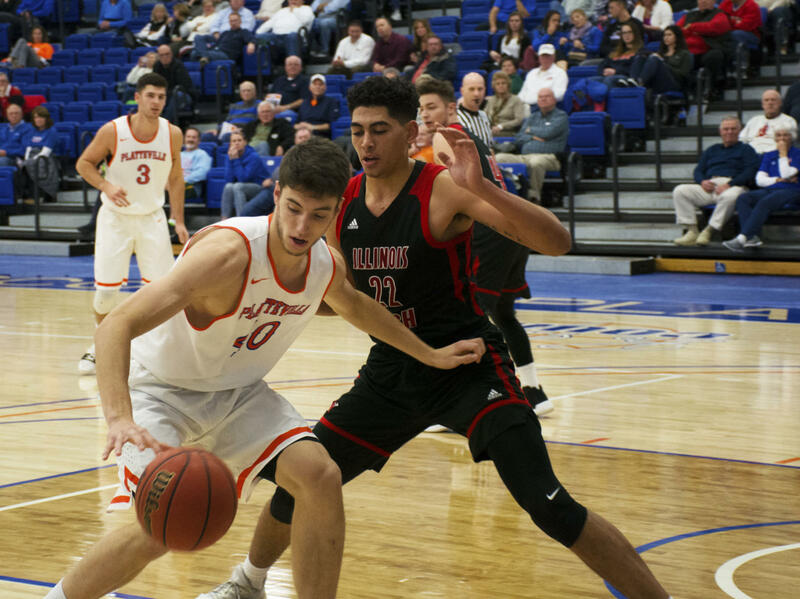 The University of Wisconsin-Platteville men’s basketball team had their sixth win of the season over the Illinois Institute of Technology by a score of 89-54. The game was hosted in the Williams Fieldhouse on Nov. 21. The game started off with the Pioneers getting ahead of the Scarlett Hawks. The Pioneers had an 18-point lead within fifteen minutes of the game, and by the end of the first half, the score was 45-32. 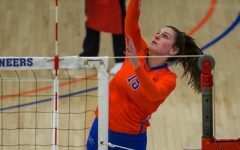 The top scorers were UW-Platteville senior guard Matt Oestreich and junior forward Clay Gerds with a combined total of 24 points. The Pioneers also scored 38 points in the paint while Illinois Tech only received 14 points. Coming into the second half, the Pioneers used turnovers to their advantage. These turnovers allowed the Pioneers to score more points against the Scarlett Hawks. The Pioneers had 25 assists versus the Hawks seven. Overall, the Pioneers had eight turnovers where they scored 26 points. By the end of the game, UW-Platteville scored on 57 percent of their shots.